I bought both a red and black Hefty Touch-Lid 13.3-Gallon Trash Can. The Red trash can has springs in the lid, but the black can was missing the spring,. (see photos) So the black lid doesn't work correctly. I can't figure out how to let Walmart.com understand this so they can send me the springs. Home territory searches the web to find the best prices and availability on Trash Cans and related products foir your home like Hefty Touch-Lid 13.3-Gallon Trash Can, Multiple Colors. For this page, related items include products we find that match the following keywords: "Trash Can|Garbage Can|Trash Bin" at our vendor partner Walmart - Click More Info / Buy Now to check for price rollbacks!. 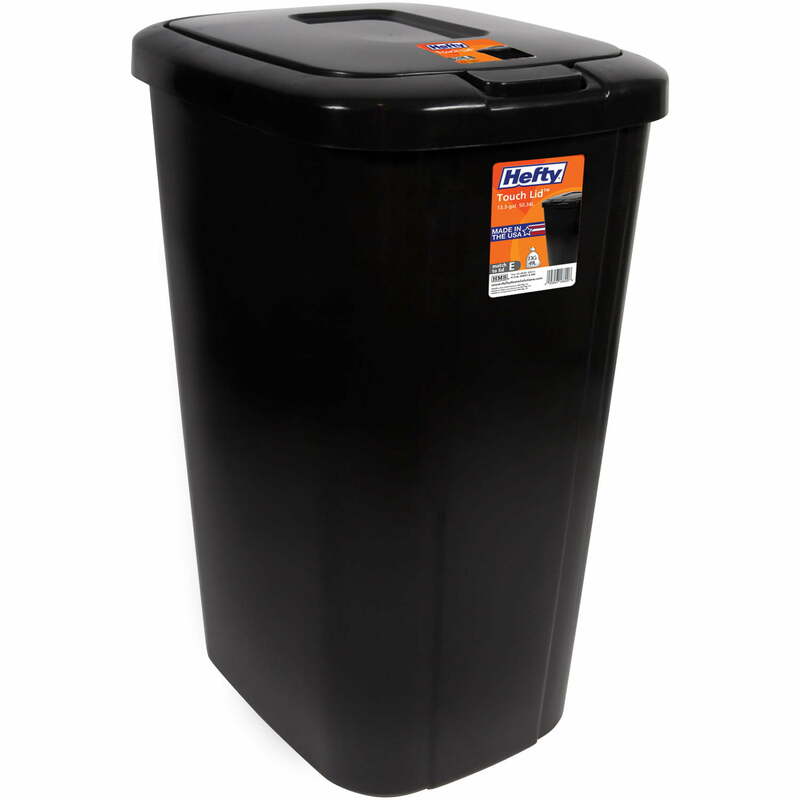 Hefty Touch-Lid 13.3-Gallon Trash Can, Multiple Colors is one of 49 Trash Cans and related products available for sale through HomeTerritory.com, If you have any questions on this product, please give us a call at 734-971-1210 during the hours of 9am - 5pm EST for assistance. Thank you for shopping at Home Territory, the home furnishings superstore!